New chrome wire louvered panels offer a perfect mounting solution for all plastic hanging and new wire mesh hanging bins. 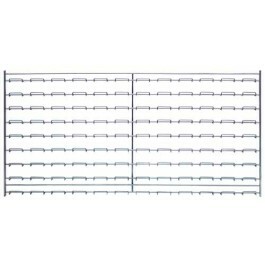 Unlike a standard louvered panel where there can be the occasional concern of dust or dirt accumulation, this exclusive offering of 36"L x 18"H wire panels completely resist any buildup of dust or dirt. 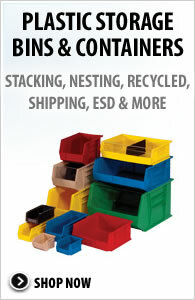 Accepts all sizes of stack and hang bins and wire mesh bins. 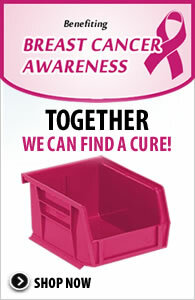 Includes 8 direct mounting clips enable fastening to any surface (wall, wood, concrete, drywall, etc.) a snap (note: mounting screws are not included as they differ based on what type of surface the panels are being mounted to). Offset mounting clips are also available, can be used in place of WLP-DMC if you want to have wire panel mounted offset (away) from a wall surface making it easier to clean behind the panel (sold separately). 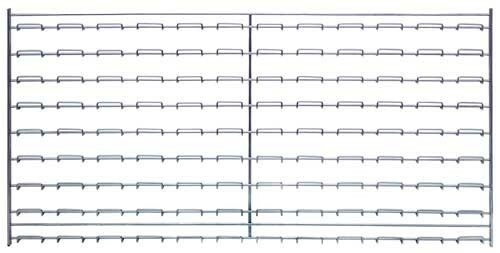 Manufactured of heavy- duty chrome wire, these wire panels will offer years of dependable and heavy-duty service. Finish: Chrome.